In a new bid to prevent the opening of a Muslim school in the area, the New South Wales government is seeking to put its hand on a Muslim-owned land, tearing down a two-year dream of having a new school to serve 1200 Australian Muslim pupils. "I did deliberated long and hard on this decision," Education Minister Verity Firth told ABC on Friday, July 17. Firth issued a decision to buy back a plot of land owned by Al Amanah College, arguing the land would be used to build a special school for children with disabilities. The minister threatened that steps would be taken to compulsorily acquire the land if no deal was reached. "I knew it would be a controversial decision and I also knew how it could be interpreted." Al Amanah College had bought the land to build a school to serve 1200 Muslim students. But the school plans were deadlocked over rejection of the Bankstown City councilors to build the Islamic school. But light appeared at the end of the tunnel after the Land and Environment Court approved the school plans for the second time, ending a two-year legal fight. But the minister's new decision came to stumble again the plans to build the Islamic school. Media reports link the decision to a letter sent by the Bankstown council to the Education Minister, asking the government to acquire the plot, either by agreement or compulsorily. "This decision was made following advice from the Department of Education and Training that a special school was required in the area and that this was the most appropriate site," Firth's spokeswoman told The Sydney Morning Herald. "It is unrelated to the building of an Islamic school on the site." Muslim school officials are disappointed at the minister's decision to buy back the land. "At the moment I have more than 200 enrolments for next year.. already enrolled in this school," Mohamed El Dana, principal of the college, told ABC. "The parents, the community, it's all supporting this project and where am I going to go with these students?" Instead of preparing for constructing the school, Muslim leaders are now readying for a new legal battle with the government. 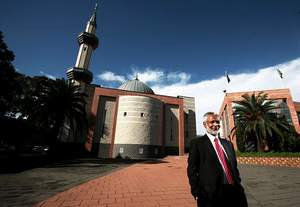 "To know that there is a school that has gone through two lots of hurdles to now want to exercise compulsory land powers," Ikebal Patel, the president of the Australian Federation of Islamic Councils, told the Herald. Muslims, who have been in Australia for more than 200 years, make up 1.5 percent of its 20-million population. Islam is the country's second largest religion after Christianity. In 2008, a governmental report revealed that Muslims are facing deep-seated Islamophobia and race-based treatment like never before. Enraged residents have vowed to continue their fight against the building of another Islamic school in Australia’s biggest city, Sydney. Planning permission has been granted by councillors in the Liverpool district following a long-running and acrimonious debate that has been stained with allegations of racism and religious bigotry. The contentious project will see a school for 800 mostly Muslim pupils constructed in Hoxton Park, a working class suburb 38 kilometres west of central Sydney. Locals have fought a vociferous campaign against the plan, citing a string of grievances relating to increased traffic, pollution and noise, which could, in their opinion, drag down property prices. They have vigorously denied suggestions that their actions are motivated by anti-Muslim sentiment, which has infected discussions about Islamic colleges in other parts of Australia. “With some people there is just a prejudice against the Islamic faith and that’s a shame,” Mr Newcombe said. “If you go into these schools and realise they are mostly Australian-born children, they go out of their way to emphasise Australian culture and values.” There are 15 Islamic schools in New South Wales, Australia’s most populous state, which cater to about 8,000 students. Many are located in low socio-economic areas and receive funding from both the federal and state governments, while community leaders have stressed that Australia’s rapidly growing Muslim population needs more faith-based education.